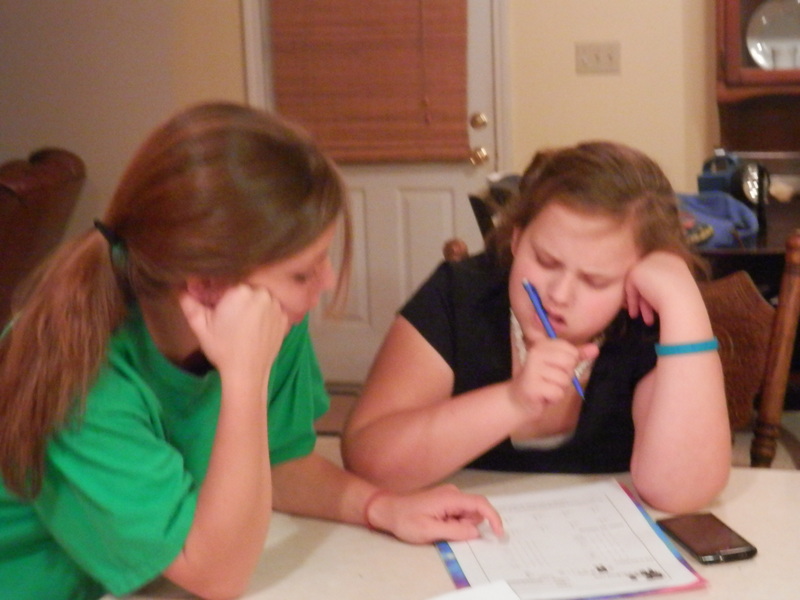 EA aka one of my college kids, helping Miss Neenee with Math homework-without me even asking! Attended Friends & Family Day at the church where I grew up. 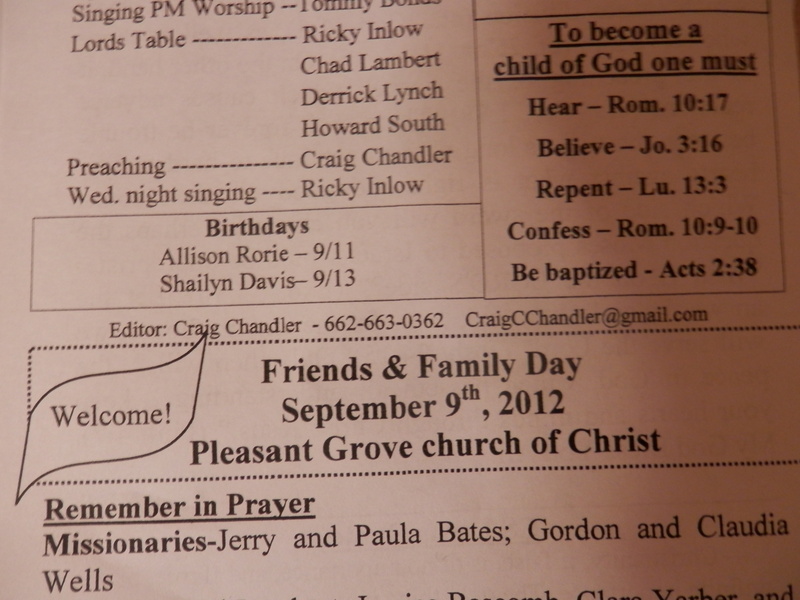 My wonderful uncle called me & invited me to Friends & Family day at the church where I grew up. So, yeah, we went & saw our family & our friends (who are like family!) My Daddy preached at this church for 20 years. My Mama & grandparents went to this church & are buried there. Love going to visit with this precious church family! 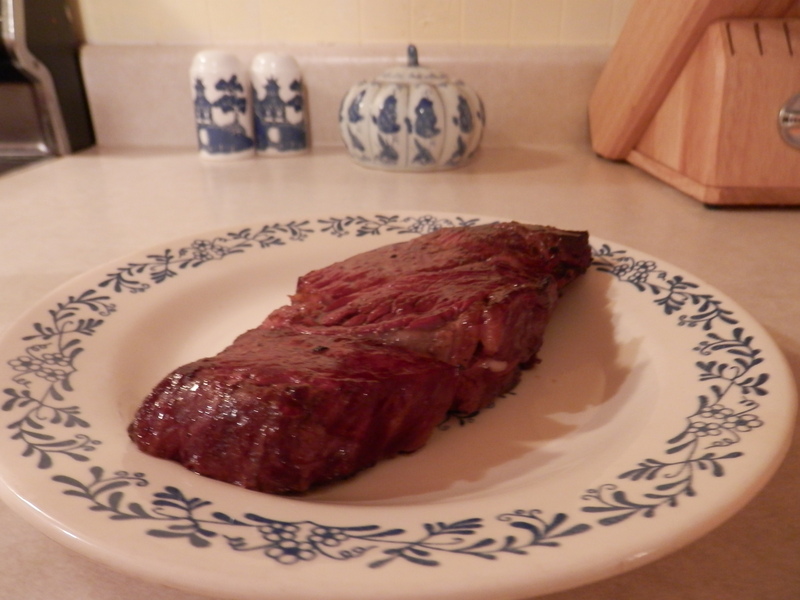 Steak fresh off the grill! Every Thursday my husband is off work. Every Thursday he puts something on the grill. Last night it was steak. So yummy! Before the cupcake was devoured! EA had a birthday this week. Somebody got invited to the party. Where somebody ate ALL of his chocolate cupcake. Then, somebody got a bath right after that! 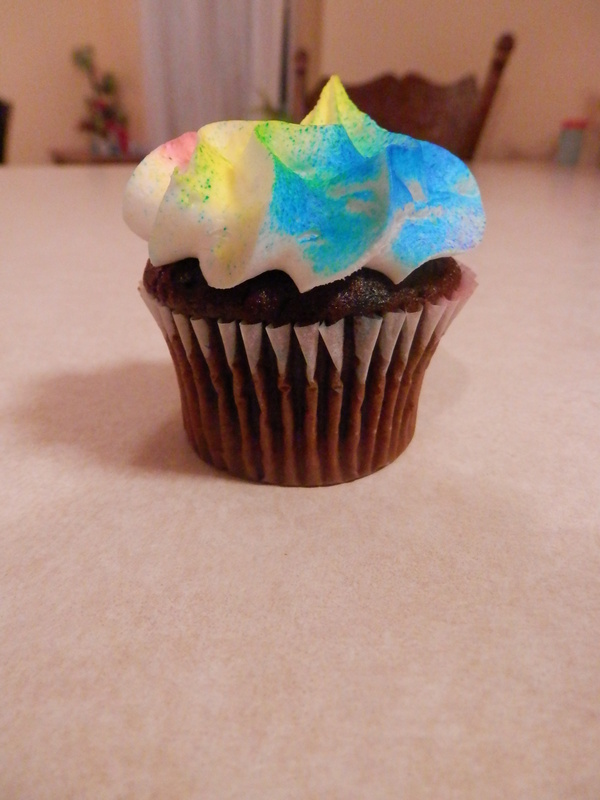 My cupcake from the birthday party! WHOO HOO! 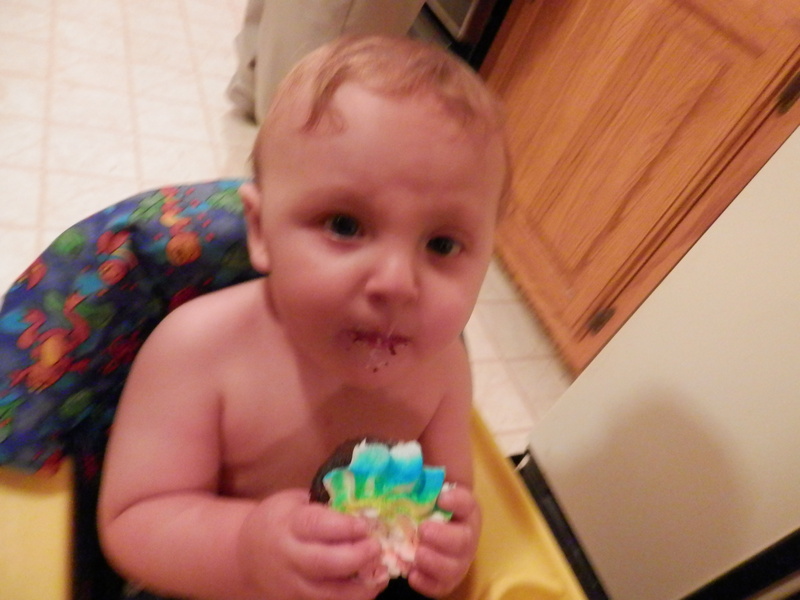 Thankfully, somebody did not eat all the cupcakes! This one was mine! Yea!! I appreciate you stopping in to see my H54F! I hope everyone had a great week! I have to be going now, because I should be washing clothes!! ← Ever Have Too Much To Do?? I love this, especially that cutie eating a cupcake!! Thank you! Once he got finished, it was all over the kitchen! I had to sweep & mop! But he enjoyed himself! LOVE the title of your blog. Super cute babies!! Happy Friday! Thank you for stopping by my blog! Hope you have a happy Friday!